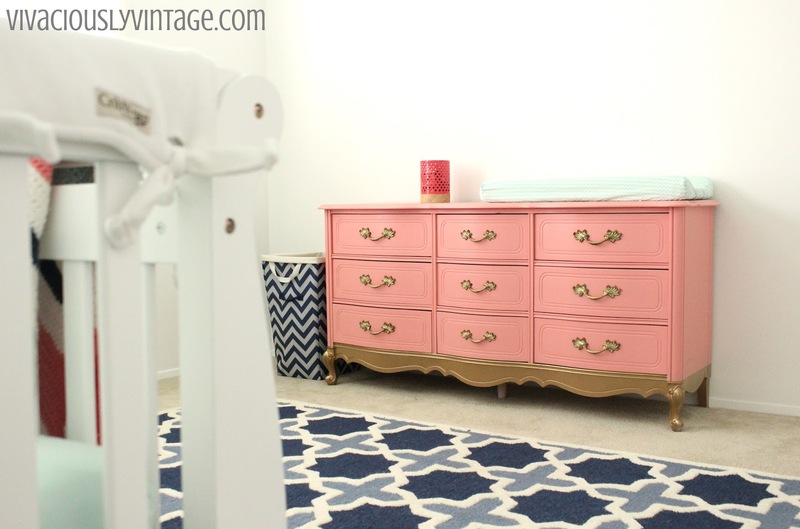 Ansley Designs: Nursery Furniture - IN! 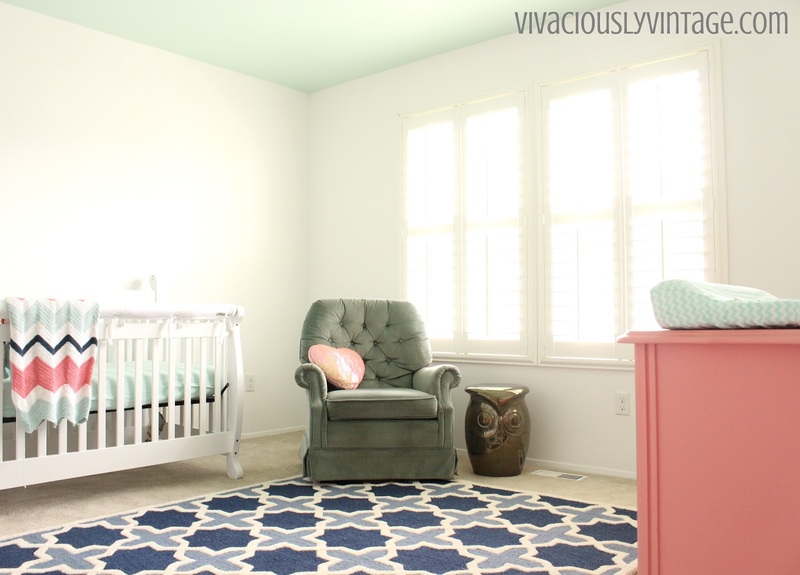 So we got the furniture all moved into the new nursery after it was painted! I love how fresh it looks in there! What do you think of this chair? It was a $30 Craigslist find. 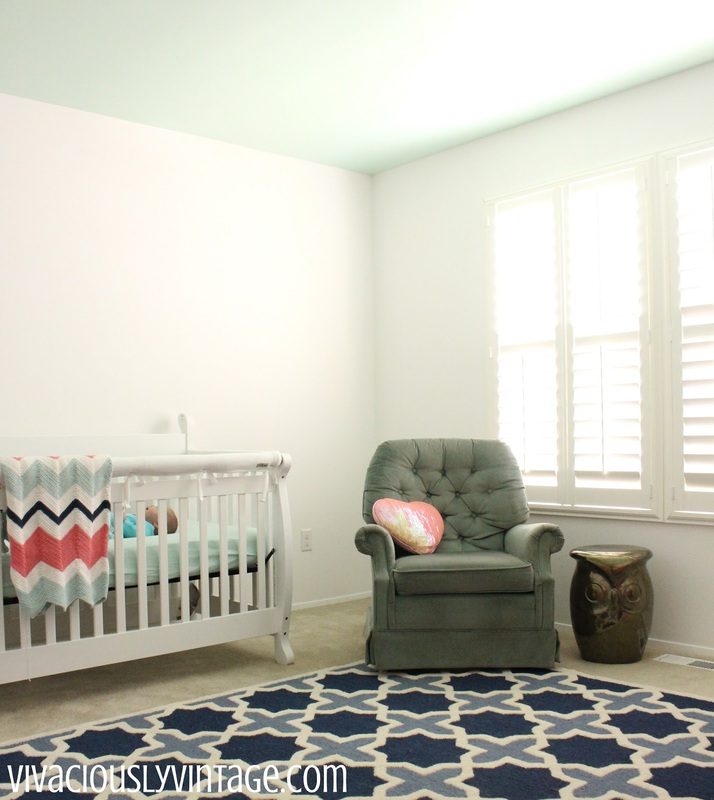 I thought it was the perfect shade of mint green (like her crib sheet), but after driving 40 minutes each way - it's more of a sage color. 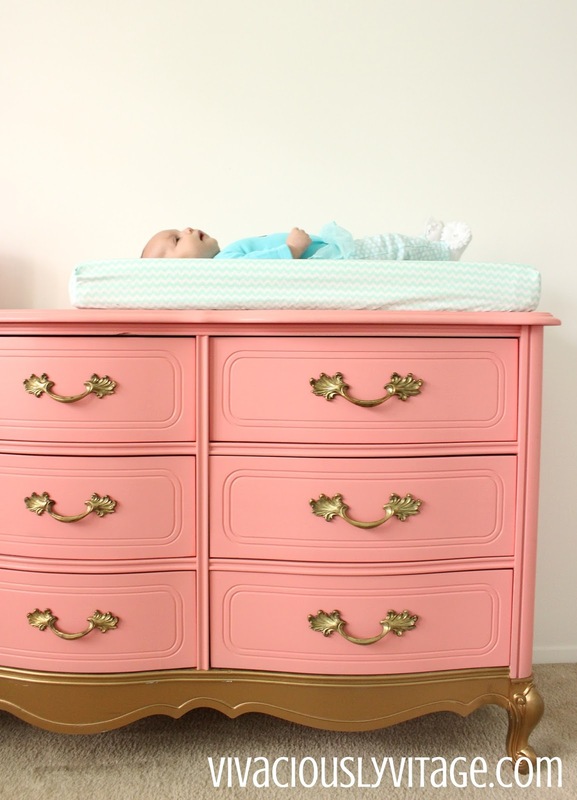 I'm thinking of trying my hand at painting it, but in the mean time that is way on the bottom of my DIY list. It likely will never happen! I don't think looks bad as is, though. Another issue I have is that the rug I bought looks too small in here! 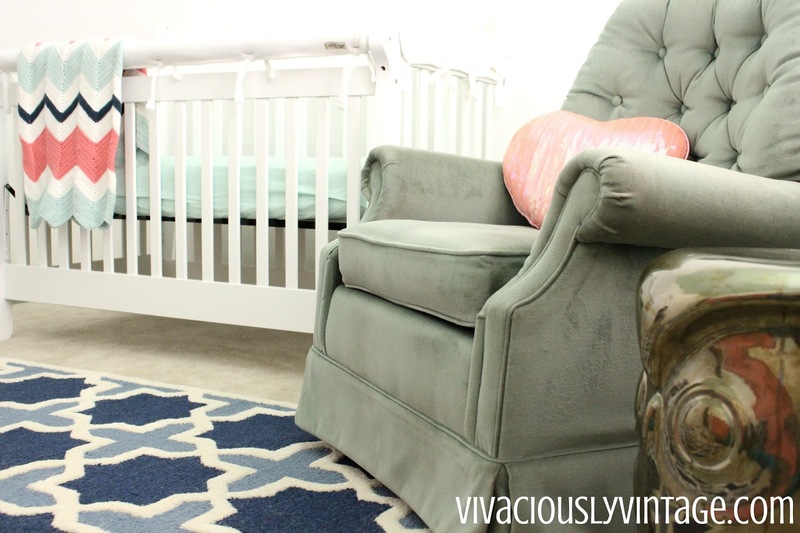 This room is larger than her original nursery, so I really need the next size up. It doesn't look terrible or anything, but the next size would look so much better! I'm well past the 30 day return policy, but I'm going to try telling my issue - explain that I want to give them MORE money for the next size and keep my fingers crossed! lol I could just trying selling this one, but it's a gamble - well I guess either option is a gamble! Truthfully, I'll likely end up keeping it. =/ Ah well! 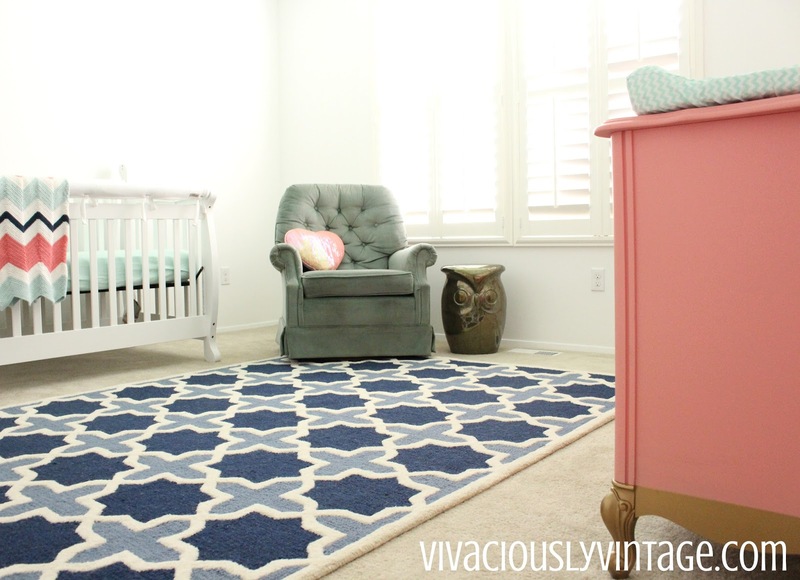 If she hadn't have come 3 weeks early, I'm convinced that I would have been done with her room by now! Alas, I have so many more things to do yet! Whew. The good thing is I've started several of these projects. 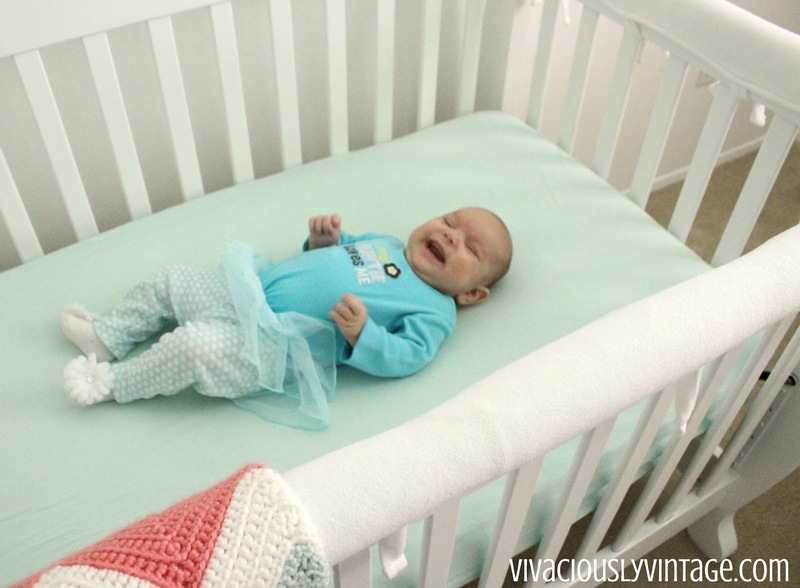 Like you can see her crochet baby blanket in the photos; however, I want to add a thick white boarder all the way around. The sides are rolling up, and I hope that will fix the issue! Thank you! I'm rifling through your blog right now and so far ♥! !